vtgorilla had the most liked content! Hey Smackems, vtgorilla here with The Bleach Report (and certainly not an audience plant who is part of the organization, why would you even suspect such a thing). From my spotty and terrible record keeping, it looks like Coach King @inspiral is 2-0 against your coaching staff in post-season college games, and 1-0 directly against the Dolphins this season. What makes you think yourself and scout vtgorilla can start playing 3D chess instead of 2D space invaders? 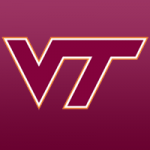 Virginia Tech - Nothing required to make me happy. This is the best team in school history, even with the best player injured - I'm already happy. Here are a couple oddly niche choices that I follow: The King of DIY - aquarium hobby guy that builds tanks and keeps a shitload of fish in a garage that he converted into a water zoo. Very casual, too much rambling, but very knowledgeable guy with fun videos. Ants Canada - I'm not into ants at all, but the editing and storytelling is done on an impressive professional level. Excited to try out some of the other channels listed here - great idea for a thread! 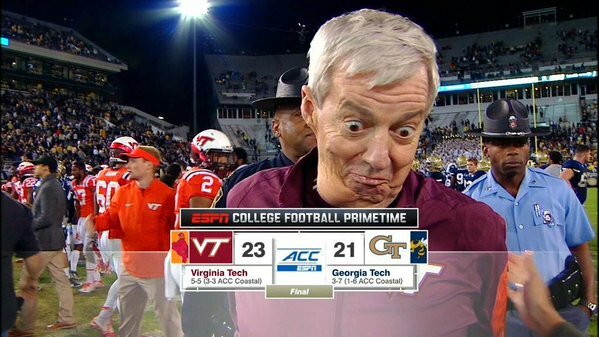 There are only 6 (unless I counted wrong) 9-win teams in the FBS this season. That seems wildly unlikely. BOW DOWN LITTLE BROTHER, AND GOBBLE FOR MERCY, FOR MY COACHING TENURE WILL BE LONG AND FULL OF BLOWOUT VICTORIES. No one ever ordered one, but it is a real shirt service that will print and ship the shirt if you bought it.